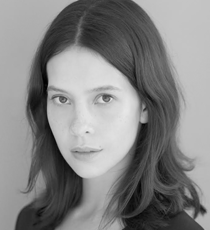 Jessamine-Bliss Bell is a British actress with Chinese heritage, having grown up in Paris she speaks fluent french. She studied acting at the Lee Strasberg Film and Theatre Institute in New York and is now based in London. She has starred in many short films and made her feature film credits include playing the lead in Dragonheart : Battle For the Heartfire and Trick Or Treat. She recently read in a play reading of This Is Our Youth by Kenneth Lonergan alongside Sebastian De Souza and Morgan Watkins.